As a collector of original sewing patterns, I am constantly searching for fabrics which will lend authenticity to these styles and designs. Lengths of original fabrics are becoming harder to obtain, especially in good condition. However, one company has recognised the growing demand for genuine authentic prints, sensitively reproduced on modern day fibres. This quest led me to discover Maltings Fabrics. When creating with cloth, it is the very fibres of the fabric that visually communicates the loudest. Of course, the cut of those fibres also play a large role in the overall look of a garment, but initially our eyes are imbued with the dominate colour or print of the garment itself. This is especially important in the context of stage or screen. Audiences want to immerse themselves fully into the experience – to believe that the players they are watching on stage are truly from the time the production is set. Whilst stage productions hold different criteria to the screen, the aims and limitations are similar – to create characters to facilitate the plot, enabling the audience to believe in their existence as a character, all within a set structured timeframe. The role of costumes, and indeed the fabric they are fashioned from; is paramount in this illusion. Maltings Fabrics are one such company offering their wares and expertise, to the theatrical world and beyond. 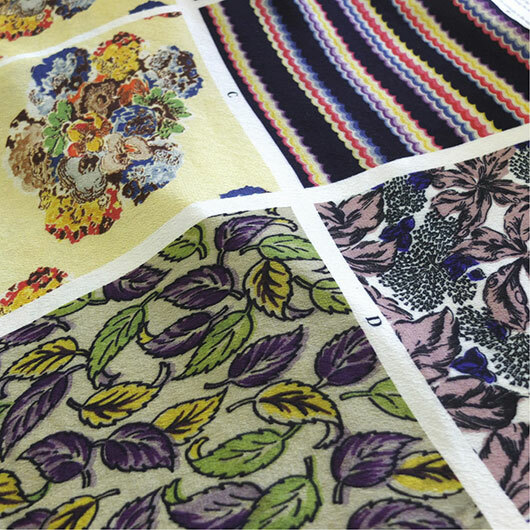 Recognising the need to meet demand from theatres for authentic textiles, the company specialises in reproducing original prints from the early 20th century. Designs are then printed onto modern natural fibres – either cotton cambric, or viscose crepe. On an unusually fine sunny day, I took a little jaunt over to Lewes to catch up with owner of the company Louise; and find out more about the company. Firstly, I was intrigued about how owners Louise Hatley and Dan Rumsey-Williams entered the business of fabric printing and production. 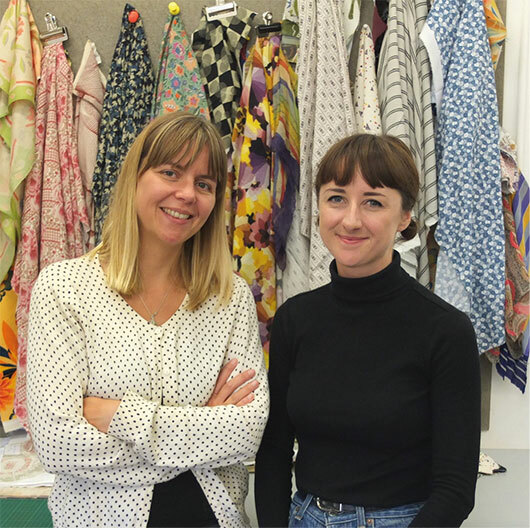 Louise told me she studied Fashion Textiles at the University of Brighton, fuelling her interest in surface pattern and design. The idea for Maltings Fabrics began as a natural joint evolution of two businesses – Darcy Clothing and Hatley Print. Situated in the beguiling East Sussex town of Lewes since 2013; Darcy Clothing and Hatley Print both reside in a building called the Maltings (which would later become the name for this extended amalgamation). Carefully tucked away beneath the shadow of the towns imposing castle, the buildings very location is imbued with history. 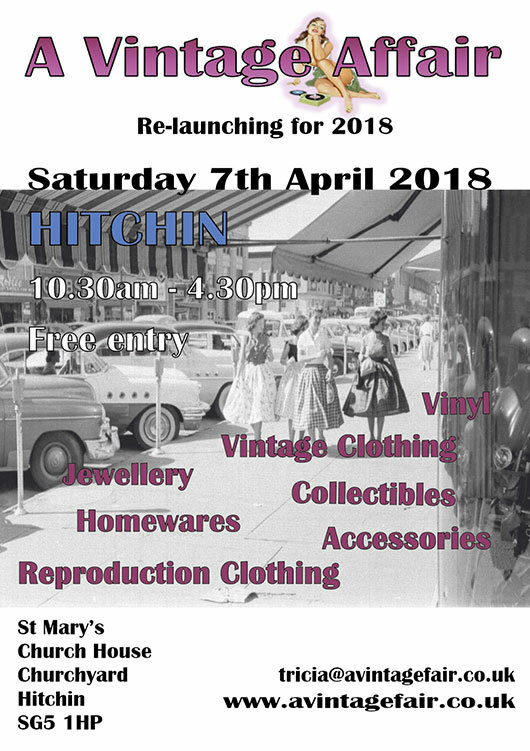 Darcy Clothing specialise in reproducing period clothing, whilst Hatley Print produce bespoke textile designs using digital printing for fashion and costume professionals alike. Maltings Fabrics is the result of a natural collaboration between the two companies. 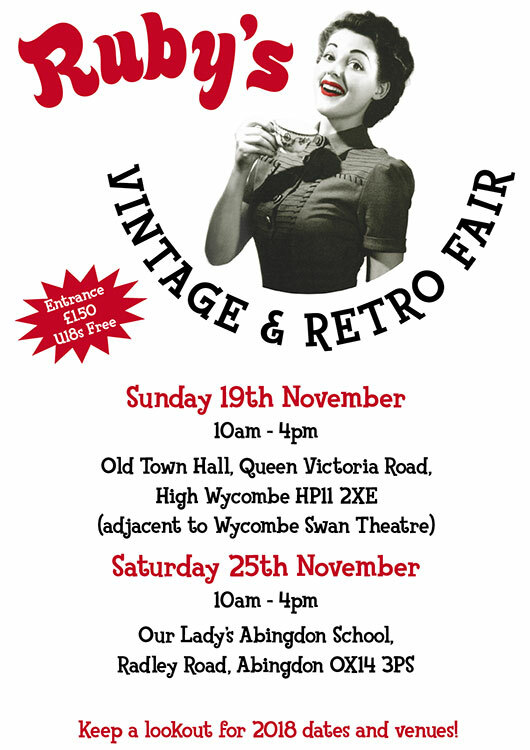 Whilst original vintage fabric can be exciting due to the nature of authenticity; as a result of this problems may arise. Often original fabric can be structurally weakened, and may not withstand laundering or multiple wears. The colours may be uneven, or sometimes sun bleached, resulting in an inconsistent tone. Usually, original fabric is only available in one length, so once used there is no scope to replenish. However, Maltings Fabrics cleverly side-steps all these issues. Combining original prints with modern day fibres, the company have successfully managed to create a fantastic blending of authenticity with the conveniences and assurances of modern day demands carefully catered for. 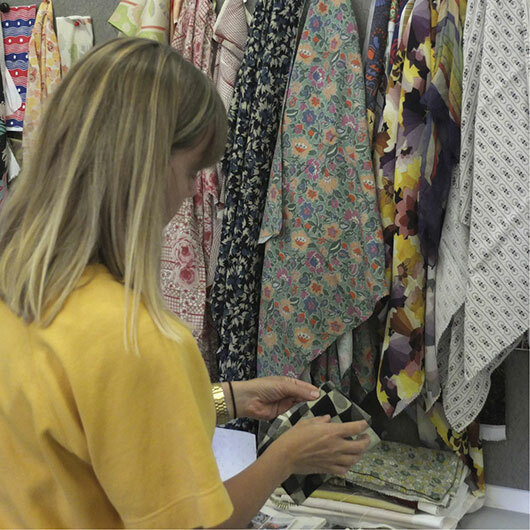 Fabrics are printed to order by the metre, ensuring the exact amount desired is always available. All fibres are pre-washed and laundered, ensuring no additional shrinkage may occur. Due to these factors, it is no surprise that Maltings Fabrics are so successful at providing costumiers, theatres and private customers authentic prints to meet their every desire. Owner Louise is constantly on the search for original textile designs to add to the ever growing Maltings Fabrics collection. Designs for these fabric prints can be sourced in various places. In actual fact, the starting point for Maltings Fabrics was a collection of humble pinnies and housecoats collected over a number of years. In addition to pieces sourced by the company, Maltings Fabrics also work with costume designers, vintage specialists and collectors, as well as museum archives in order to uncover interesting prints to recreate. The entire process of sourcing an original print, to then reproducing it and making it available for purchase via the website can be briskly undertaken. Louise explains that a large portion of Maltings Fabrics clients are costume designers and supervisors working in stage and screen. Often this requires swift turnarounds, with productions working to tight deadlines. In cases such as these, Maltings Fabrics can have a new print sourced, reproduced and ready to be dispatched within a week or so. Louise elaborates that often the artwork and sampling process can be the lengthiest aspect in the production. All prints reproduced are carefully worked on in order to capture the true essence of the original. This in turn requires a high level of skill and sensitivity to colour in order to reproduce the print faithfully and as accurately as possible. 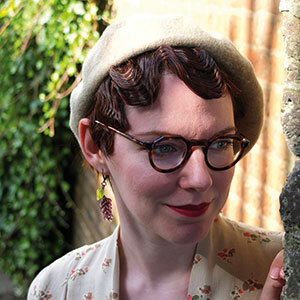 With a plethora of prints to choose from, I was curious to ask Louise what her favourite era or style of print would be. Floral prints and pinnies of the forties were her reply. Pinnies and housecoats of that era often had numerous repairs applied to them, a true indicator of the make do and mend attitude. Indeed, Louise showed me her collection of original pinnies, including one that looked as if it had encountered a rather extreme incident with a stove – complete with scorch marks and burn holes. Louise also went on to add that 1930s day dresses often had an irresistible elegance about them. The colour combinations utilised during that period were so delightful, and immediately evocative of the era. 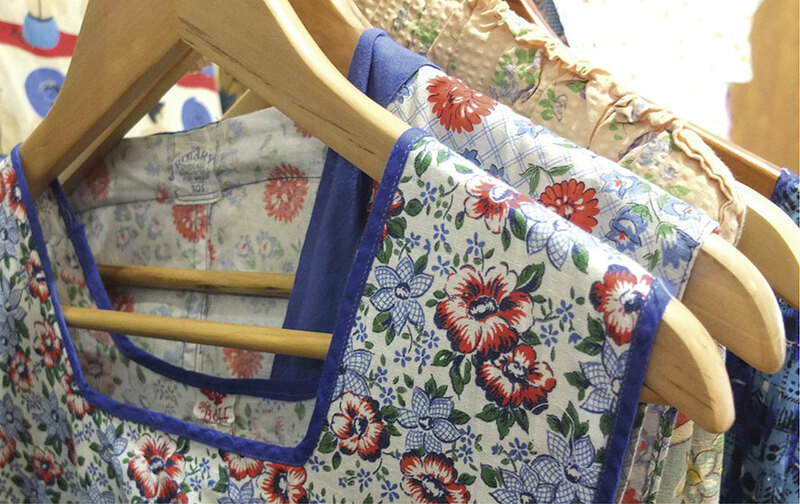 In addition to producing new designs every few months, Maltings Fabrics also plan to release a collection of pinnies, based on original styles held in their collection. Available in the autumn, these pinnies will be sold in a cloth-kits format sewing pattern, in various different reproduction prints. 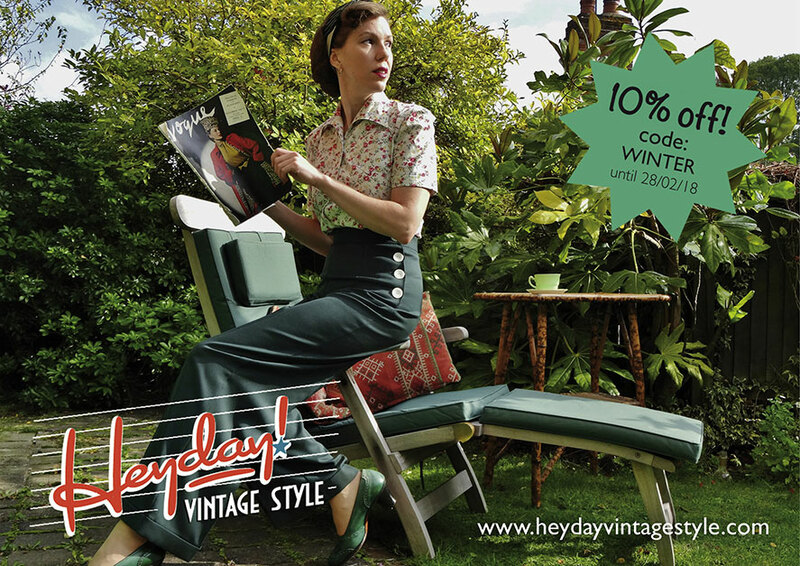 The perfect Christmas gift for those with a love of vintage prints and sewing! Fabrics are available to view and buy from Maltings Fabrics website: https://maltingsfabrics.com. Currently, there are around 100 prints to choose from, with new releases added frequently. Designs are available to purchase by the metre, with sample packs also available to order. Maltings Fabrics are quite literally reprinting the very warp and weft of the past, preserving it for many years to come. It seems my quest to find authentic vintage prints, suitable for interpreting original early twentieth century sewing patterns; is now complete. Many thanks to Louise, Dan and Katy for welcoming me into their studio.